A shepherd and shepherdess tend their animals on separate pastures, separated by a tree. Dominant colours: red, tan, blue, white, brown. 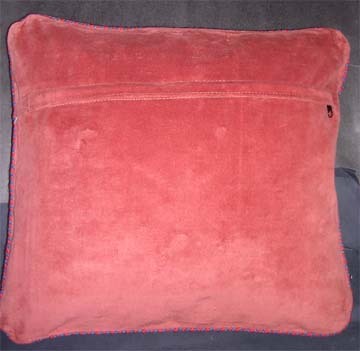 The backing is a soft red velour with a zip closure. 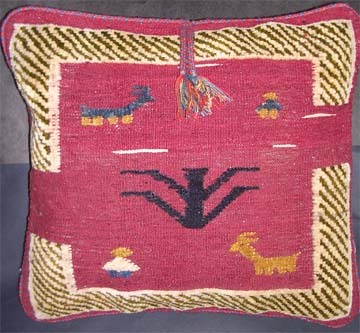 Fill with a compatible-sized plain pillow, fiberfill, or material of your choice.